Buyers of any ASUS GeForce GTX 10 Series GPUs have the chance to take home more than US$5,000 worth of prizes from ASUS and PUBG. The grand prize recipient in each country will win a US$2,500 loot crate stuffed with ASUS gaming goodies and PUBG premiums. Twenty additional winners per country will receive prizes worth US$150 each. 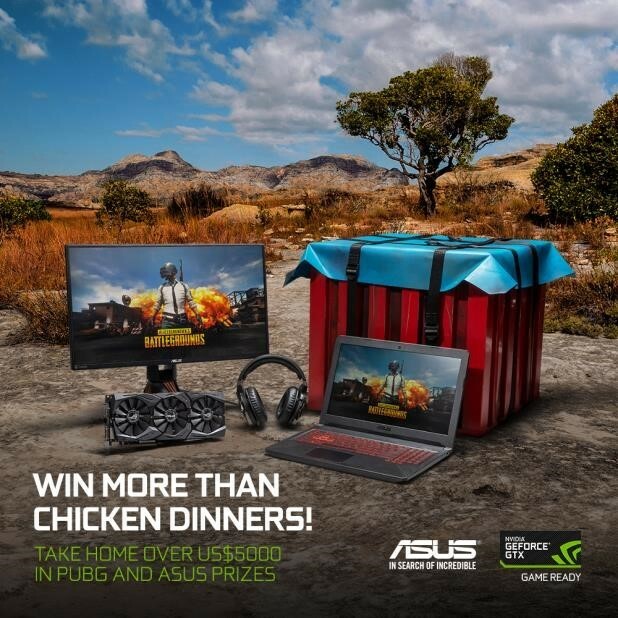 SINGAPORE — June 28, 2018 — NVIDIA is teaming up with ASUS for a PlayerUnknown’s Battlegrounds (PUBG) Loot Crate giveaway.